Before the internet, a satisfied traveller might write some comments in a hotel’s guest book or tell a friend, now customers go online to tell the world what they thought of their hotel stay. The popular and growing trend in hotel customers reviewing their stay using online travel websites and booking engines is proving to be a make or break factor for businesses operating in the hospitality industry. Sleeperz Hotels, the innovative budget hotel business, is one company that is experiencing the benefits of the trend called “word of mouse”. 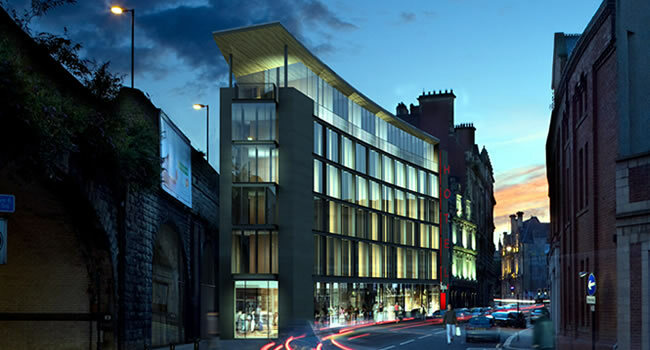 Sleeperz opened its latest design-led premium budget hotel in Newcastle in January and says strong trading and higher than expected sales in its first three months have been boosted by positive customer reviews on three major travel websites and booking engines. Javeed Anwar, Head of Marketing and Sales for Sleeperz Hotels, said: “Word of mouse is something that hoteliers and hospitality professionals ignore at their peril. More and more people are using the internet to book short breaks, hotel rooms and holidays these days and customer reviews can make or break a brand. The excellent reviews and rankings on three of the most influential websites in the travel industry are a strong indicator of consumer confidence in Sleeperz Hotels, especially as we are a relatively new brand. Sleeperz entered the budget hotel sector in November 2008 when it opened its first hotel in the Welsh capital Cardiff. It recorded average occupancy figures of 66% for its first year, well above the city and national averages. Mark Armstrong, general manager of Sleeperz Newcastle, said: “We have easily exceeded the occupancy and sales targets we set for ourselves for the first quarter and have found that we are regularly fully booked on weekends. Sleeperz’s philosophy of creating stylish hotel properties with modern cutting edge architectural design sets the brand apart from other larger competitors in the budget hotel sector such as Premier Inn and Travelodge. Boutique hotel owner and interior design expert Janine Powell was hired as a consultant to create an air of sophisticated vibrancy at Sleeperz Newcastle. Newcastle’s glass fronted hotel has compact rooms with fresh, colourful and contemporary interiors.